Harm Reduction International is pleased to announce the launch of the fourth edition of the Global State of Harm Reduction. 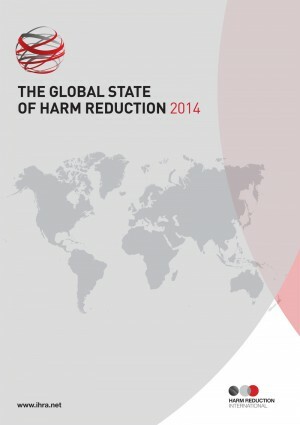 View the data with our interactive Global State of Harm Reduction e-tool. In 2008, Harm Reduction International released the Global State of Harm Reduction, a report that mapped responses to drug-related HIV and hepatitis epidemics around the world for the first time. The data gathered for the report provided a critical baseline against which progress could be measured in terms of international, regional and national recognition of harm reduction in policy and practice. Since then, the biennial report has become a key publication for researchers, policymakers, civil society organisation and advocates, mapping harm reduction policy adoption and programme implementation globally. It also integrates updated information on harm reduction services into each regional chapter, including on needle and syringe programmes (NSPs) and opioid substitution therapy (OST) provision; harm reduction services in the prison setting; access to antiretroviral therapy for people who inject drugs; regional overdose responses; policy development; civil society developments; and information relating to funding for harm reduction.